The Newspaper Clipping Generator you may find a need for it too? OMG, this is exactly what I needed, lol. Too cute! Thanks for the link, Candle..the newspaper generator should really come in handy. Also, thanks for your link, mugginsmajik. It will help with variety if we need more than one type. Thanks 3D Gamer; I like that one too! Where do you guys find these things? 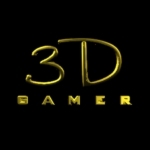 Kat12 wrote: Thanks 3D Gamer; I like that one too! Kat12 wrote: Where do you guys find these things? Scouring around at a link that has already been provided...or Googling...mostly Google, though. Usually some member has some multimedia-based need that they do a search on. When they find what they are looking for, they figure it may be helpful for someone else, so they post the result here as well.